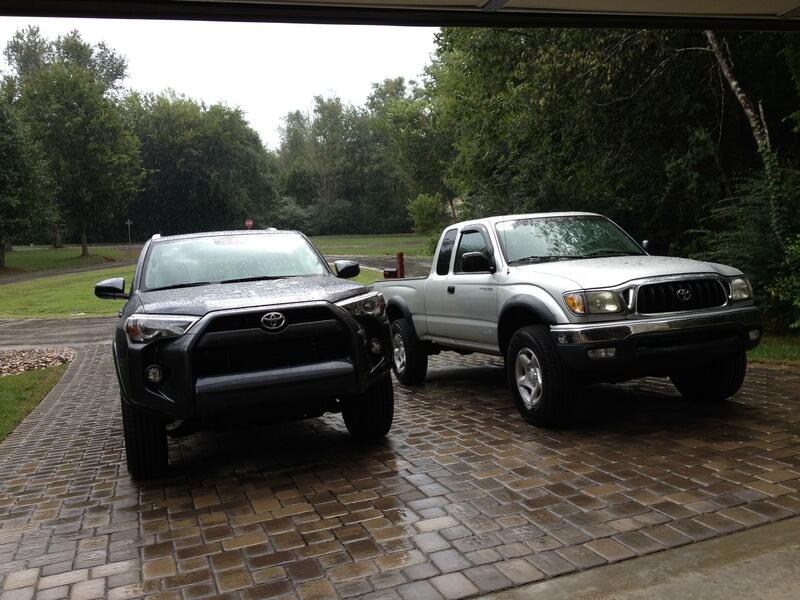 Hi, I'm in the middle of a new/slightly used 4Runner purchase effort. Due to potential cost savings I've been looking at 2018 models that may be left overs or even used vehicles. I've just come across an 2018 SR5 4x4 with just over 17,000 miles on it that the dealer is willing to let go for $30,900. This is a good price at least in my area for a used 2018. The one thing giving me hesitation is that it is a trade in (or resale I guess) from a rental car company. Car Fax checks out and the car is in great shape with all maintenance up to date. I'm hesitating though due to the fact it had previous use as a rental car. Friends are split on whether this is an "issue" or not. Any thoughts or experience with "used rental 4Runners" out there ? Did you compare it with brand new 2019 4runner. Other factors include...financing rates, options and also % off the MSRP & rebates on new vehicles. Do your homework and will score an Ace! JMO, id get underneath and inspect for any obvious damage. Some people rent vehicles just to see what they'll do. On the + side you should get balance of factory warranty, might be able to talk dealer into throwing in an extended warranty. Personally I don't like buying used vehicles, but thats just me. You can get eveyones opinion but what it comes down to is what will fit into youre budget and what you're satisfied with. Check the paint real good. Every rental car gets an automatic car wash after every rental. It causes a lot of paint wear. Also, it will have less value in the future when you sell or trade it in because a lot of people do not want to buy a car that was a rental. I say go for it. At the end of the day, the rental vehicle must go through a quality inspection before they decide whether or not it's worthy to be sold. It's their reputation on the line. I know several people who have bought previous rentals with good luck. I know a salesman from Enterprise who tells me they genuinely pick the best rentals to actually sell. Not all rentals qualify and/or are eligible to be sold by the rental company. Plus, most of them still come with full factory warranty so that is a HUGE piece of mind. Good luck and keep us informed. My 4Runner was a rental company car. I bought it as I figured I could fix pretty much anything that went wrong with it. 2 years in, so far so good. But - 17,000 is low mileage for a rental sell. They hold onto them through warranty (at least), and I can't imagine it is due to people not wanting to rent a 2018 4Runner. Something is up there that drive them to sell it off with that low a mileage. Well I got the ex rental model 6 weeks ago and so far it's been all good. Based on comments made above I put the vehicle on a lift at dealership and thoroughly checked out the underside, checking brakes, hoses, belts, cables, seals, exhaust system, driveline and everything else my fingers or flashlight could reach. It all looked new. The exterior paint had about three small chips in it (dealer filled those in). Interior is like new. Tires were original but should last another 40K miles I would bet. I actually looked at about another half dozen ex rental 4 Runners (all 2018) and they all had between 16K to 22K miles on them and they were all at dealers between OKC and Dallas/FT Worth. So not sure if one or more rental companies are flooding the market or if this is a normal turn around point for them. But for the price I paid I'm happy with it. And hopefully all the renters of this one didn't "drive it like they stole it" LOL. Thanks for all the advice ! I bought a 2017 SR5 Barcelona Red 4x4, mileage ~28,000 at the time, direct from the Hertz Car Sales (HCS) facility in Lynn, Massachusetts a year ago. I had spotted it on the HCS website. I ran the CARFAX and I did the 3-day “rent2buy” arrangement for test driving. I closed the deal with a 2003 Camry trade-in. Aside from some very minor dings for 28k miles, the SR5 was in excellent condition. My only beef was Hertz declining to provide maintenance records for the SR5. They did chase down extra keys for me at my request; saved me $$$. While local start & stop gas mileage is in the 16-18mpg range, I have recorded 22-24mpg consistently on the interstate between MA & NC with the A/C on all the time. I’m happy with the SR5 – built to last!! fifth 4WD. SR5, have never gotten over 19.8 mpg average. Always use Shell 89 octane, whether this makes any difference. Last edited by Crankpin; 04-16-2019 at 02:38 AM. Crankpin .. I drive interstate speeds w/usual traffic conditions. I’m mostly a right lane driver but still at 65-70mph. No towing; OE Bridgestone tires. I keep the 'Eco Driving Indicator Zone' bar up on the center display. Not obsessed; just aware. Regular gas from major gas stations near the off-ramps. I do maintain a mpg log using an app called FillUp and that’s where my mpg numbers come from; NOT from the mpg info on the center display. Gate 14. Thanks for update. Getting ready to make a 4K + trip west and return. Will doc the mpg, see what we get, although we will be in some hills, and possible snow, late April early May. Not towing anything. I have never checked the mileage on any of the 4Runners or Tacomas. Just the dash computing info, and maybe that is not correct.